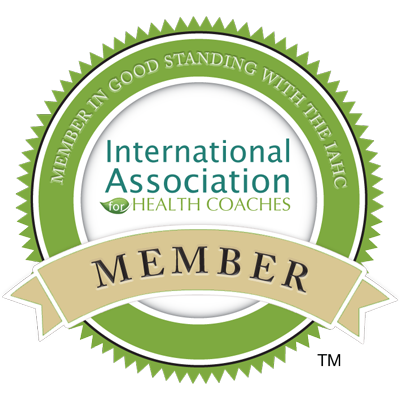 Next week, January 11-18th, is “National Health Coach Week,” just in time for our New Year’s resolutions! Remember what you had promised yourself and hold yourself accountable: whether that’s waking up early to sneak in a workout, cooking 4 dinners at home each week, setting aside 15 minutes each night to meditate off stress, buying organic produce, or choosing either bread, alcohol or dessert when dining out. Think of this upcoming week as a test to see whether your goals are SMART (specific, measurable, achievable, realistic and time-bound) or need to be adjusted for long-term success. Don’t let the “2 Week Resolution Burnout” phenomenon hit you! Here are 10 simple steps to take in having a healthy, happy 2016. I encourge you to make your own list, though! Have fun with this exercise and remember to choose easy, realistic and enjoyable steps that you can stick to long-term. Go Organic: Switching to grass-fed beef, free range (the best!) or cage-free eggs and organic, anti-biotic free poultry and dairy, and following the “dirty dozen, clean fifteen” list regarding produce, will prevent illnesses, provide more nutrient per density and rid your body of toxins. Get Stepping: Through online fitness trackers, such as Fitbit, and choosing a staircase over an elevator or escalator, you can boost your overall activity by getting those steps in. Walking is great for your heart and reduces risk of disease. For extra intensity, do some sprints! Power Down An Hour Early: Work on those Zzz’s. Power off all electronic devices an hour before bed and choose a mediation, relaxing music, a good (but not too thrilling!) novel, and hit the sheets. Aim to get 7-9 hours nightly and keep a consistent schedule, even on weekends. Carry Lunch & Snacks On The Go: Not only will you better be able to monitor what’s on your plate, avoiding excess sugar, fat and sodium that is used in restaurants and packaged foods, but you’ll also save money. Two resolutions in one! Bring a lunchbox or plastic bags to keep everything fresh. Stand Up: Sitting at a desk for hours is boring and unhealthy. Even just the act of sitting promotes fat storage! Set an alarm on your phone to alert you to stand up every thirty minutes and to take a short walk around the office or do a few wall squats or jumping jacks to gain back some energy. Create Healthy Dinner Themes: Cooking at home saves money and calories. It’s fun experimenting with new flavors and creates recipes just as you like. It’s also reassuring to know that you, as chef, choose what goes into your body. Try some Meatless Mondays, Salmon Sundays, Spaghetti Squash Saturdays, and Taco Tuesdays. Get creative! Power Up On Protein: If weight loss is your goal, then definitely listen to this one! Protein raises your metabolism, burning more calories throughout the day, and it fills you up, preventing mindless snacking. For breakfast, have a Greek yogurt with nuts and fruit, eggs with salmon, avocado and veggies, or a protein smoothie with nut butter, powder, almond milk and veggies. Create your own variations but stick with these protein basics. Go Green: Green veggies, green tea, green fruits…the color represents health! Bulk up on leafy greens to detoxify your liver, build bones, boost your immune system, and strengthen your heart and blood. Toss them into morning smoothies and juices, sneak them into hearty dishes like soups, chilis, mac n’ cheese and pasta dishes, or eat them simply sautéed with some olive, coconut or sesame oil. Kiwis are packed with vitamin C, and if you eat the skin (which is totally edible! ), they provide a great source of fiber. As for sips, green tea is an excellent choice. Due to its high levels of antioxidants and cancer-fighting properties, as well as its ability to boost metabolism and aid in weight loss, there’s nothing stopping you from drinking a few cups throughout the day. If caffeine is an issue, go decaf. Think Before You Eat: Don’t just shovel food into your mouth. Before eating, look at your food and take note of how you feel. Are you excited? Do you feel guilty? How hungry are you? Do you feel good about this decision? If it’s something healthy, eat up! Just be mindful of your level of fullness and avoid distractions, such as phone, TV and computer screens. If it’s not healthy (chocolate cake, I feel ya); yet, you know it’s worth it, then enjoy guilt-free! If you’re uneasy with the decision, reconsider before chowing down and drowning in regret. Start Small, Aim High: Instead of focusing on one giant goal, break it down into mini goals for each week. Let’s say your goal is to lose 20 lbs. Create mini steps to take in order to achieve success. For week 1, try to go to the gym three times. For week 2, swap your usual hamburger and fries at lunch for grilled chicken with broccoli and cut your alcoholic beverages back by one. Customize your goals to suit your lifestyle and make sure they are realistic and valuable. For more health tips, please view my blog here. Need A Helping Hand To Stay On Track? Sign Up Now For A FREE Session! Isadora Baum is an independent Holistic Health Coach, focusing on integrative nutrition, exercise and stress reduction. She is passionate about helping others feel healthier and happier in their own skin. With a B.A. in Psychology from Northwestern University and a certification from The Institute for Integrative Nutrition, her knowledge and personal experiences enable her to see the individual as a whole and tailor sessions according to his or her needs. She also coaches children and teens through Kurbo Health to boost their activity and nutrition, while helping parents gain confidence in creating healthy, simple meals the whole family will love.